Become A Member - yeboyess Webseite! 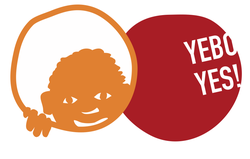 If you find our work exciting, are interested in supporting us, or simply would like more information about the work we do, then we would like to extend a warm invitation to you to become a member of YeboYes e.V. Your membership can help us achieve our goals and ideas, and allows our work in Germany and South Africa to be as positive and extensive as possible. In addition, we will keep you regularly informed about the developments, projects, and events taking place at the Kenosis Community in South Africa, and about “YeboYes” in Germany. Once a year, we also invite our members from all corners of Germany to our general meeting, where you, as an active member, can have a say in all of the organization’s activities. Contributions from members go almost entirely to South Africa. A very small amount is used only to cover the administrative costs incurred within Germany. Members are free to decide for themselves the amount they wish to contribute. The only thing left to say is: Sawubona to YeboYes e.V. !